The role of the German Historical School and of Carl Menger (founder of the Austrian School) is appraised in this new book. This important period of the history of economics is vital to understand how the discipline developed over the next half-century. 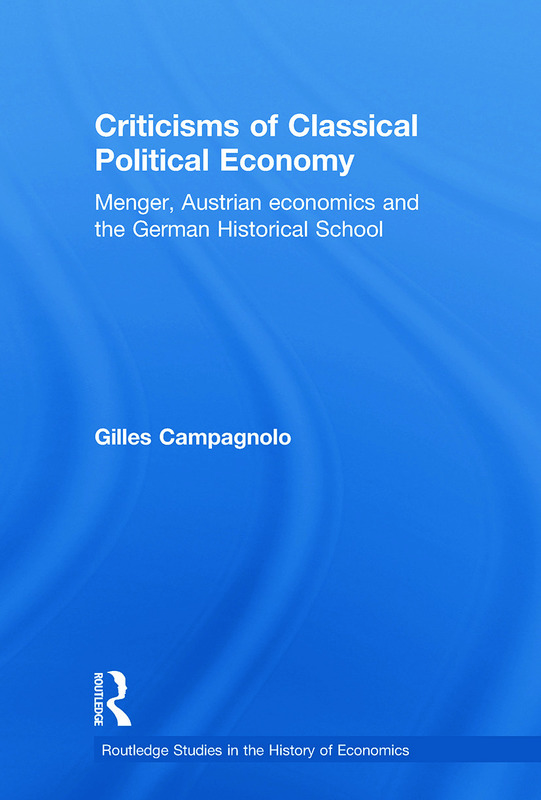 Gilles Campagnolo has produced an impressive original work which makes use of rarely seen research by Carl Menger and as such this book will be of interest across several discplines, including history of economic thought, economic methodology, philosophy of science and the history of ideas. Nonetheless an ode to ‘odious capitalism’?